If you've got a basic handle on when and why to prune lavender in general, you might want to go a little deeper with a few tips specific to pruning popular types of lavender as described by Virginia McNaughton in Lavender: The Grower's Guide. There are many varieties of lavender, each with parentage from a small set of species. To help you know a little more about how to prune the specific plant you have in your garden, I’ve combined the author’s pruning suggestions with tips on how to identify plants in that group. Varieties of English Lavender—Lavandula angustifolia cvs. Identification: Look at the spikes of flowers. Flowers are in whorls (a whorl is a tiny ring at a node) and the nodes are spaced out along the stem. Often one whorl is much lower than a tighter cluster of others above it. Pruning Strategy: These are the toughest lavenders. A light pruning just after their early-summer flowering will often cause them to rebloom later in the year. Cut back by 1/3 to 1/2 stem length, or to a few nodes above old wood if present or the base. Varieties of Lavandin—Lavandula x intermedia cvs. Identification: These plants are descended from a hybrid between English lavender and spike lavender, Lavender angustifolia x latifolia. Because the second parent blooms later, this hybrid bloom later than English lavender types. Pruning Strategy: Same as English lavender. Varieties of Spanish/French Lavender—Lavandula stoechas cvs. Identification: The whorls of the flower spikes are tightly compacted together. Pruning Strategy: Cut heavily in autumn to reduce size just before winter. Prune only lightly after flowering. Cut back by 1/3 to 1/2 stem length, or to a few nodes above old wood if present or the base. 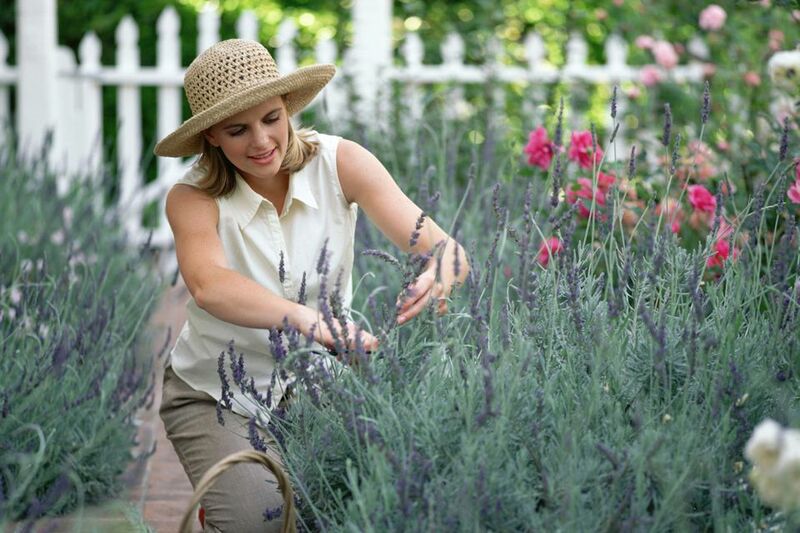 Popular Examples: Most of these varieties are newer than more traditional lavender selections, many from the mid-1990s. Otto Quast, Winter Bee, and Madrid Blue are a few I’ve seen for sale.